Have you tried the seasonal limited edition Gingerbread Oreos yet? When they came out, I may or may not have bought a few boxes of them. I was hooked on them from the first bite I took. They have that same gingerbread flavor you love during the holidays in both the crispy cookie and the cream center. I had a few left over that I wanted to use up and came across this recipe from Culinary Concoctions by Peabody and knew it was going on my “must-try” holiday baking list. Gingerbread Cookies are one of my favorite cookies during the holiday season. Something about them just tastes like Christmas in each and every bite. 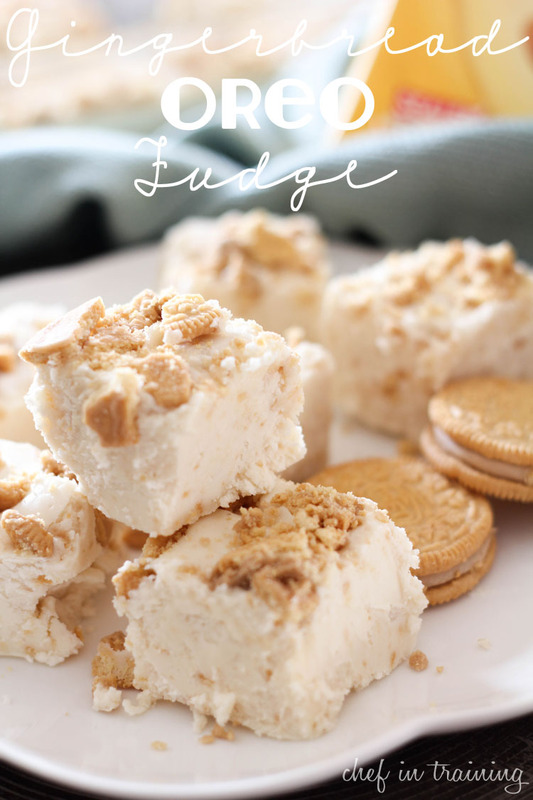 This recipe takes that flavor and spins it into a unique, creamy, and melt-in-your mouth fudge that is sure to become one of your new favorites. Spray a 9×9 pan with cooking spray. In a medium sauce pan, combine sugar, butter and evaporated milk. Bring to a full rolling boil, stirring constantly. Boil, while stirring constantly, for 3 minutes. Remove from heat. Stir in white chocolate chips, marshmallow creme, 1/2 cup finely ground Gingerbread Oreos and vanilla extract. 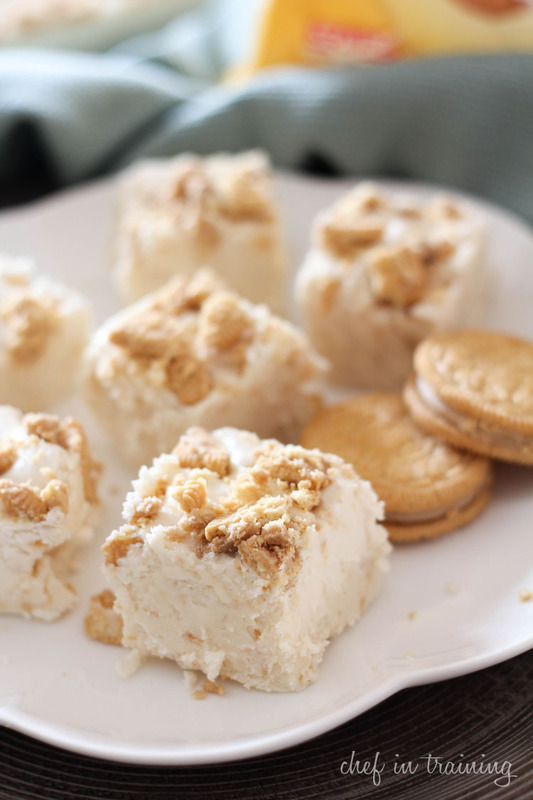 Pour into prepared pan and sprinkle with crumbed cookies on top and gently press them down into the fudge a little. Woah. This looks amazing and right up my alley. THanks NIKKI! Mmmm...this looks sooo good! These are my favorites Oreos and I still have a bag left! Oh my! That looks extremely dangerous and delicious!!!! I love those Oreos too!!!! Oh my goodness. I definitely couldn't be trusted around this fudge! Gingerbread Oreos!? WHY did I not know about these??? I haven't seen them anywhere, I hope they're still out - I've got to try them! Wow! Looks delicious..... I must have been living under a rock because I didn't even know Oreo made a Gingerbread flavor for the holidays! Thanks for sharing. I went shopping this morning and could not find oreo gingerbread cookis. Can I use plain old gingersnaps???? made these with nutterbutters! yummy!!!! thanks! I need these in my life asap! Unfortunately, I don't think that you can get gingerbread Oreos in Canada. Maybe I can use regular gingerbread instead. Do you think that would turn out ok?